The Solution: The Al Kharj district stands out amid the desert that surrounds it. For thousands of years, a network of natural aquifers fed by three major wadis – Wadi Sahba, Wadi Hanifah and Wadi Nisah – have supplied abundant fresh water to this lush territory, making it a traditional centre for agricultural practice. Archaeological evidence suggests date palm plantations, fruit trees, grain crops and vegetable gardens flourished as far back as 4,000 years ago, while travellers through the ages have described the flowing streams and underground water channels resulting in copious harvests. In the 1970s, the Saudi government began substantial investments in Al Kharj and other agricultural regions to take advantage of this unique water source and promote self-sufficiency. Farmers were offered free land, interest-free loans for machinery, fertilizer and seed, and a guarantee of crop sales, and by the mid-1980s hundreds of thousands of tonnes of wheat were being produced. Subsidies were eventually removed, but hundreds of small farms and several large commercial farms and dairy farms continue to prosper. 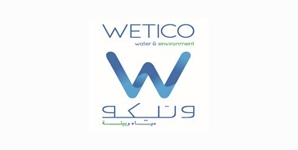 Wetico has come to dominate the farm project market due to its history of successful projects in the sector. Almarai, established in 1977 and now the world’s largest vertically integrated dairy company, requested Wetico to build a plant producing high quality brackish water at one of its super-farms in Kharj in order to meet its meticulous farm standards. 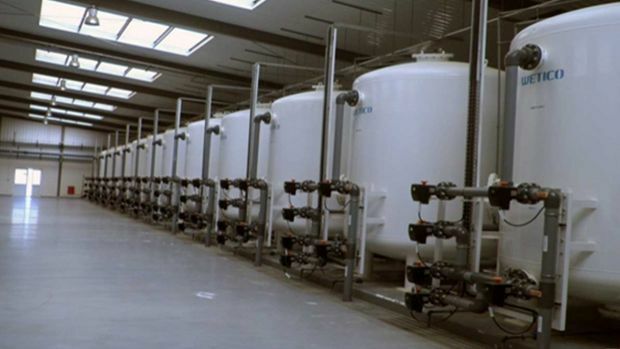 Wetico installed reverse osmosis and brackish water reverse osmosis treatment plants in a short delivery time, using superior quality materials that ensure an optimum water recovery rate. A significant feature of the project is that the use of chemicals is excluded during the water production process. Instead, high standard UV and CO2 injection systems have been installed.